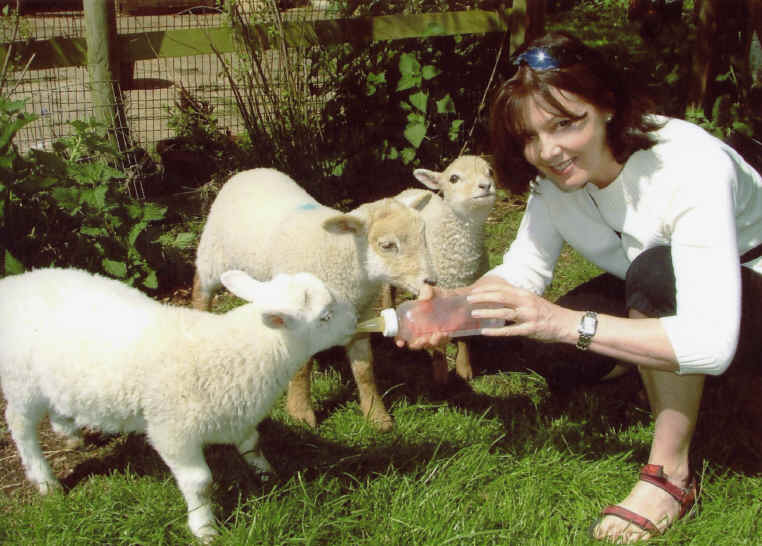 An animal rights campaigner was reported for alleged cruelty to lambs she helped save from slaughter. Farmers were angry Judi Hewitt ignored regulations governing transporting livestock when she took three lambs from North Wales in Grantham to Lincolnshire. But the animal campaigner accused her critics of hypocrisy. Mrs. Hewitt, from Rhyl, agreed to help a friend, Beci Dywynte, who claimed the lambs were “distressed” at a Shropshire field. Mrs. Hewitt who founded Denbighshire Animal Rights – now North Wales Animal Rights (NoWAR) – took the animals by car to Grantham, where her sister runs an animal sanctuary. But the incident upset farmers who reported it to the Farmers’ Union of Wales. Mr. Owen said strict rules existed to protect animal health and welfare and farmers were held to account if they broke those regulations. “There are also strict rules about how animals are transported humanely in order to avoid just the kind of symptoms experienced by the lambs that Mrs. Hewitt transported. “Cars are not suitable vehicles for long-distance transportation of animals, given that they haven’t been designed with appropriate ventilation for animals,” he said. Mr. Owen said there was no evidence the lambs were unwell when they were picked up from the farm, as claimed. “Once again this seems to illustrate how animal welfare can be compromised by well-meaning but naïve members of the public,” he said. “The matter would not be taken any further,” he said.